Since January the Germans had been withdrawing generally eastward away from the desolation of the Somme battlefield, while the British followed them up, hampered by the general mud and rubbish of the apocalyptic battlefield, a German scorched-earth policy that destroyed everything left. Even the remaining trees were cut down, all the wells were poisoned, and plentiful booby traps were left behind. 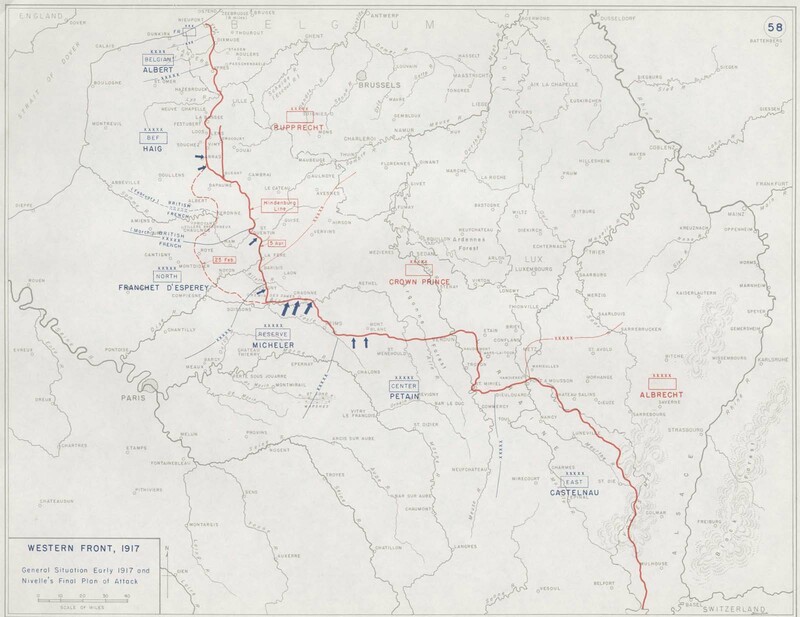 By the end of March the British were in their new positions facing the new unbroken Hindenburg Line thought by the defending Germans to be impregnable. On the British front General Currie was organizing his Vimy attack with four Canadian divisions and making a superb job of it. He was not prepared to allow his troops to move until he was ready and could be assured that his artillery was spot-on against the dug-in German artillery, a lot of which was sheltered by concrete bunkers which often still exist. His troops were clear what their objectives were, and the Royal Flying Corps had gained control of the skies over Vimy. Inter-services cooperation was at a premium, and all staff officers were aware of this requirement. The German garrison on the ridge believed that it could not be taken because the French had been tried and failed for two years, but they were to be out-maneuvered by the planning of General Currie. Field Marshal Sir Douglas Haig was not aware of the problems of General Nivelle, and he now waited for the two offensives to begin. Within the French ranks, all the troops waited for the final offensive to start, which they had been promised would bring an early end to the war. An' kept a gittin thinner th' more he'd eat. When th' war broke out he got right in. Mule, with yer old hee-haw! But you bet, by gosh, I'll soon find out. An' that's about all one feller could do! 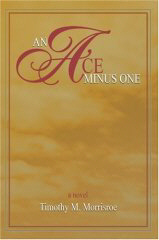 An Ace Minus One is a World War I novel that takes its hero from humble roots in the Midwest through major events of the Great War and its aftermath. In the process, Jack Elliot matures from an innocent youth to a seasoned veteran. The book begins with Jack in his 90s, residing in a nursing home and demanding to be interviewed by a hard-boiled San Francisco newspaper reporter. The old man claims to be a surviving World War I pilot. The reporter is skeptical but listens as the old man tells his story. Jack Elliot is born in Eleveth, Minnesota and is raised on a farm by a Norwegian father and a French-Canadian mother. As a young boy, Jack does chores and familiarizes himself with the Model T, but his life changes when he is 14. He drives friends to a brothel, where he accidentally kills a man. To avoid being charged with murder, he flees to North Carolina to work on a relative's farm. 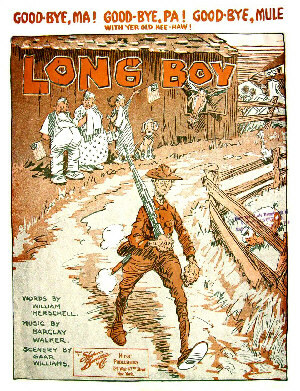 After learning about the Great War, he joins the Merchant Marine and is assigned to a ship taking mules to England. Jack has the inglorious task of cleaning the mules' stalls. Once in England, he volunteers to drive an ambulance in France and is accepted because he speaks French and is familiar with the Model T. Jack sees trench warfare firsthand in Verdun, where he evacuates the wounded. When he learns that the French are looking for men to train as pilots, he volunteers and is accepted by the Foreign Legion. Jack is trained as a pilot and flies in the Lafayette Escadrille. In 1916, Americans volunteered to fly combat missions under French officers. Tales of Jack's training and flying exploits are the heart of the novel. Jack wrestles with touchy mechanical problems, tries not to shoot off his own propeller, makes sure he keeps his bearings so he is not lost behind enemy lines, all the while searching for enemy planes to shoot down before they hit him first. When the Americans enter the war, Jack becomes an officer in the American Air Corps. His goal is to become an ace. Having fallen in love with a French girl, he thinks being a decorated hero will impress her and make it possible to return to Minnesota when the war is over. Jack survives air battles, crashes, and being taken prisoner. When the war ends, Jack's life takes unexpected turns. He flies missions in North Africa, and spends the World War II years in Normandy. The narrative is interrupted from time to time by the efforts of the skeptical reporter to validate Jack's story. These interludes mirror the reader's dilemma. Jack's many encounters with famous people in France like Raoul Lufbery and Quentin Roosevelt arouse suspicion that his tale is fabricated. But as the story unfolds, it is so compelling that the reporter, his research assistant (and the reader) cast doubts aside and continue to follow the story to its bittersweet conclusion. An Ace Minus One covers many of the events of World War I, bringing to life what it must have been like to be in France during the years of the Great War. The descriptions of the flying missions are compelling, described in vivid detail by the author, who was himself a U.S. Air Force pilot. While it is tempting to recommend the book to young people who might identify with its teenage hero, An Ace Minus One graphically portrays the brutality of war, making the novel more suitable for mature readers. A companion website, www.anaceminusone.com offers historical background and pictures of people and planes described in the book. From iUniverse, 2006, 610 pages. The Federal Bureau of Investigation has roots in the Great War and its immediate aftermath. J. Edgar Hoover was the original director, serving for 49 years. 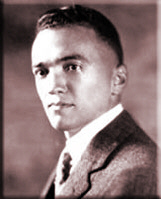 During World War I, Hoover worked for the Justice Department and eventually led the Enemy Aliens Registration Section. In 1919, he headed up the General Intelligence Division at the Justice Department. This division collected and maintained the database of names that was used in the Palmer Raids against suspected radicals, anarchists and leftists. [See link to Smithsonian Magazine article above.] 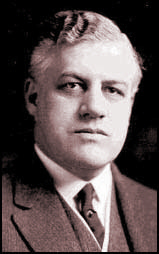 Hoover joined the Bureau of Investigation as deputy head in 1921. In 1924 he was made acting director and was appointed director by President Calvin Coolidge on May 10 of that year. The Bureau of Investigation established a Technical Laboratory in 1932 and became the Federal Bureau of Investigation in 1935. With the passing of Prohibition in 1919, bootleggers became well-known to the American public and were looked upon as a necessary evil for those citizens who enjoyed alcoholic beverages. They were regarded with a degree of ambivalence by many. Even bank robbers had a certain amount of public sympathy. But those 1930s gangsters and bandits involved in murder, vice and kidnapping were hated and feared by the general public. The FBI's official website calls 1921-1933 the "lawless years" because of gangsterism and the public disregard for Prohibition. In July 1934 the Production Code for films took effect with Joseph Breen in charge. This meant no more sympathetic gangsters posing a problem for Warner Brothers, a studio that had James Cagney, Edward G. Robinson and Paul Muni under contract and which routinely released gangster and crime dramas. But, once the 1934 Omnibus Crime Bill was signed by Franklin Delano Roosevelt, the FBI acquired a national identity and allowed its agents to carry guns. The solution was evident--turn those dynamic actors from gangsters into crime fighters, making the movie protagonists law enforcement figures rather than criminals. Warners had a well-deserved reputation for making hard-hitting topical dramas: I Am A Fugitive From A Chain Gang (1932), Five Star Final (1931), The Public Enemy (1931), Little Caesar (1930), Wild Boys of the Road (1933), etc. For years, Hoover had resisted involving himself in Hollywood productions. He felt that movies glorified crimes and criminals. But Hoover was friendly with the Warner brothers. However, in keeping with the Bureau's distrust of things Jewish and intellectual, neither Paul Muni nor Edward G. Robinson, both under contract, were in the cast. In 1935 Warner Brothers released "G" Men, starring James Cagney. The original story by Darryl F. Zanuck was nominated as a write-in candidate for an Academy Award for Best Original Story. The screenplay was by Seton I. Miller, who also wrote The Fighting 69th (1940). The ad copy proclaimed "Public Enemy Becomes Soldier of the Law!" Cagney plays "Brick" Davis, a former "gutter rat" put through college, graduate school and law school by a benevolent bootlegger who joins the FBI after the murder of his college friend, now an FBI agent, by gangsters. In a brisk 86 minutes, it covers his training and fictionally portrays two "ripped from the headlines" events well-known to contemporary movie audiences- the infamous Kansas City Massacre of agents and local police and the shoot out at the Little Bohemia Lodge with the Dillinger gang. All of Cagney's energetic appeal and vivacity is evident on the screen, and despite an occasionally clichéd script the picture is tremendously entertaining. And violent enough to be banned in Chicago! The film was very successful and launched a new cycle of crime fighting films. It can be seen as the direct ancestor of police procedural dramas with its insider's look at training and scientific crime solving techniques. The New York Times called "G" Men a "blazing melodrama" with "the headiest dose of gun play that Hollywood has unloosed in recent months." Variety called it "red hot off the front page." 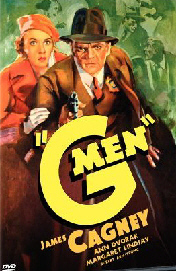 Originally produced without the cooperation of the FBI, "G" Men was so successful (grossing over $1,000,000 during the Great Depression) that it was reissued in 1949 on the FBI's 25th anniversary. A newly added prologue featured the film being shown to new FBI agents as a training tool! The director, William Keighley, won the Bureau's trust with the success of "G" Men and would direct another FBI picture, The Street With No Name (1948). 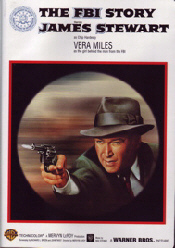 The FBI Story (1959) was directed by Mervyn LeRoy (Little Caesar, Five Star Final, I Am A Fugitive From A Chain Gang) and starred James Stewart. It follows the life of fictional career FBI agent "Chip" Hardesty from 1924 through 1959 (the Bureau's 35th anniversary). Hardesty takes on the Ku Klux Klan, Osage Indian murders, public enemies, Nazis and Communists. Several of the incidents in "G" Men are recreated in this widescreen, color production. The production design by John Beckman and the cinematography by Joseph F. Biroc are well done. The post-World War II sequence involving Soviet spies features location filming in New York City that now appears as a cinematic time capsule. The primarily subdued color palette used through the course of the film suddenly finds splashes of red cropping up as the Feds trail the spies. Hoover was personally involved in the production. He had approval over the producer, director, screenwriters, screenplay, the final film and the use of the Bureau's name in the advertising. Hoover appeared as himself in a sequence and was also responsible for causing extensive reshooting of scenes because he didn't care for the politics of several extras. The FBI Story was based on the book by Don Whitehead. Whitehead had a distinguished career as a war correspondent and Pulitzer Prize-winning reporter. "G" Men and The FBI Story are available on DVD from Warner Home Video. The FBI Story is widescreen and comes with just a trailer. "G" Men includes a Warner Night at the Movies 1935 Short Subjects Gallery with newsreel clips, a comedy short, a classic cartoon and trailers. There's a new featurette, Morality and the Code: A How-To Manual for Hollywood, an audio commentary by film historian Richard Jewell, a Bobby Jones golf short and a 1935 studio blooper reel. Both releases look and sound great. The following are thanked for their contributions to this issue of the Trip-Wire: Gena Rollins, Terry McGill, Robin Clayton, Tony Langley, Christina Holstein, Tony Noyes, Andy Melomet, Kimball Worcester, and Len Shurtleff. Mr. Rivera's comments were heard by me on the Sean Hannity radio show. Until next month, your editor, Mike Hanlon.